Bike Forums - Show your French bikes! Nice bikes, classic 70's and 80's! Care to identify the year and model? 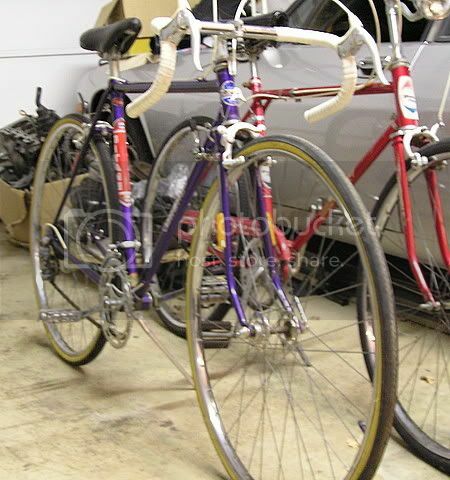 Not terribly good at Pug spotting yet, but is the white one with white bar tape possibly an 88 Versailles? Mercier SS conversion - no kittens were killed. Also got a Peugeot Premiere Carbolite frame (too big for me but used as a parts donor for other builds) no pictures of this as it's not actually a BIKE at present. More pictures of that vitus please, WNG!!! That bike is beautiful! I'm jealous! 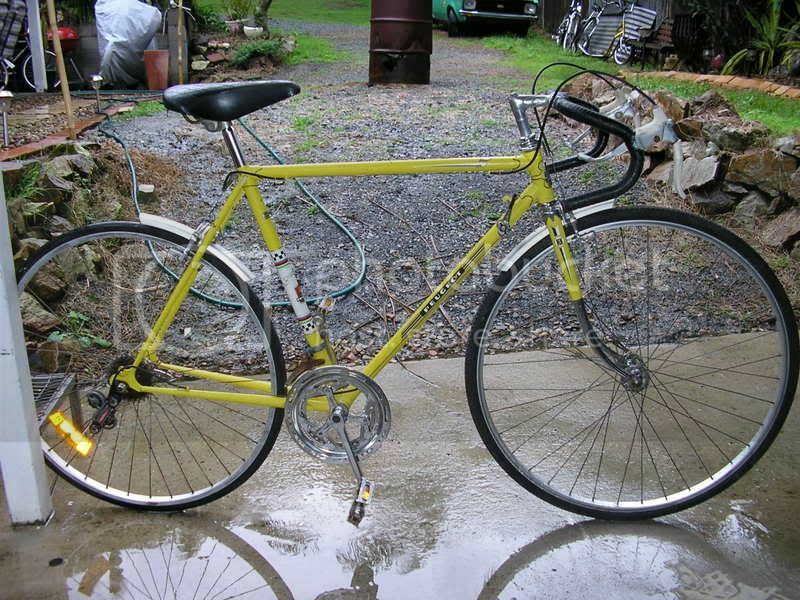 No picture atm, but I've got a nice Louison Bobet SS conversion. Only European bike I ride on a regular basis. 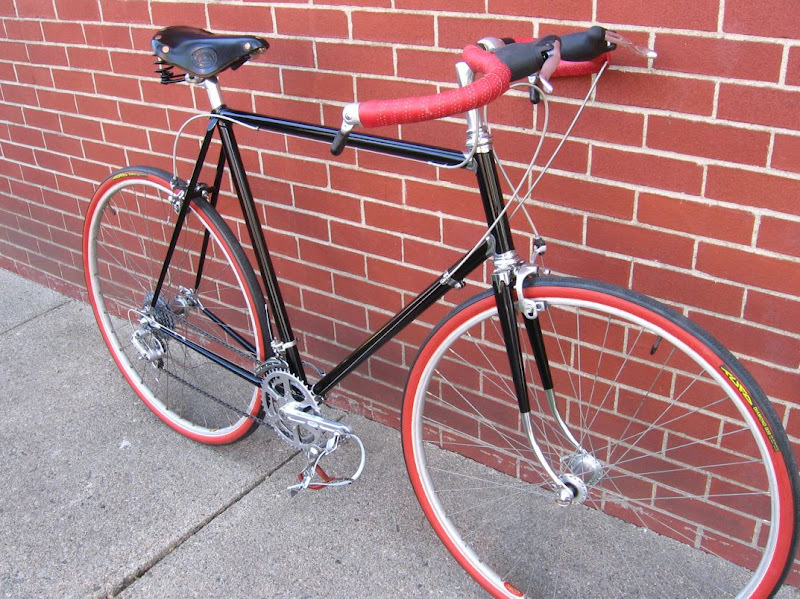 And I don't know why, but I find that "French bike of unknown origins" there to be a very sharp looking bike. Probably because it is color coordinated while most of my bikes are not. Too bad they can't be rescued! 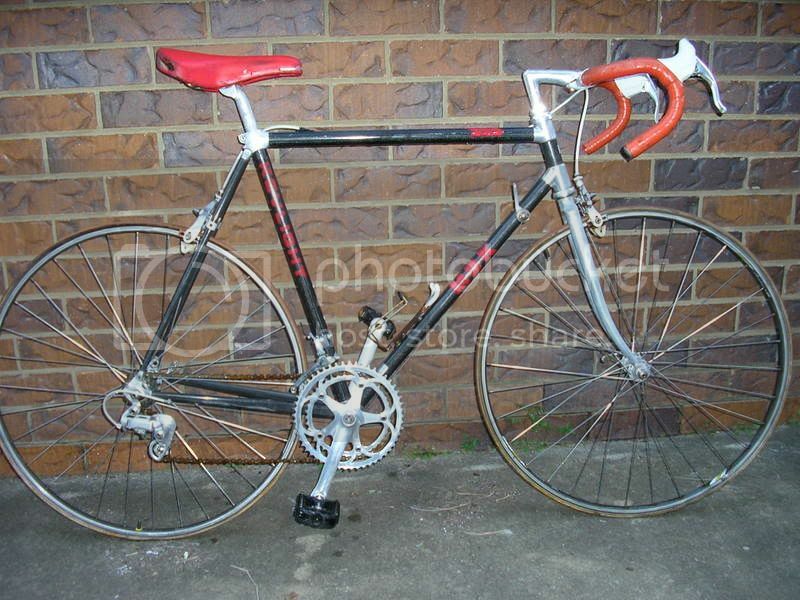 No picture atm, but I've got a nice Louison Bobet SS conversion. Sorry. You are not allowed to just state you have one, especially a Bobet, without photographic evidence. I'm giving you 24 hours to come clean. My dearly departed Mercier Velux. Nothing special to anyone but me. This makes me long for spring... my 1957 PLX8 Grande... "Edith". abandoned or vandalized? I like the green one. the shifter was mounted on the TT? Yes, you are exactly right. It is a 1988 Versailles. Red Hill Church in the moonlight. Where'd everybody go? Thought everyone would be out, now that the roads have finally dried a bit. Ottsville Inn. 10'clock Friday night, time to close up. At the spillway last Sunday. 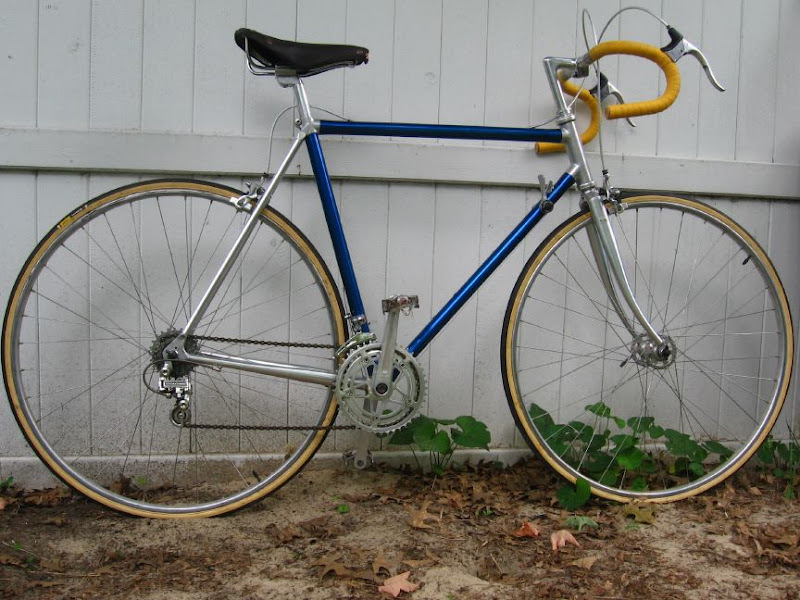 A bad picture of my '80 Motobecane Super Touring.